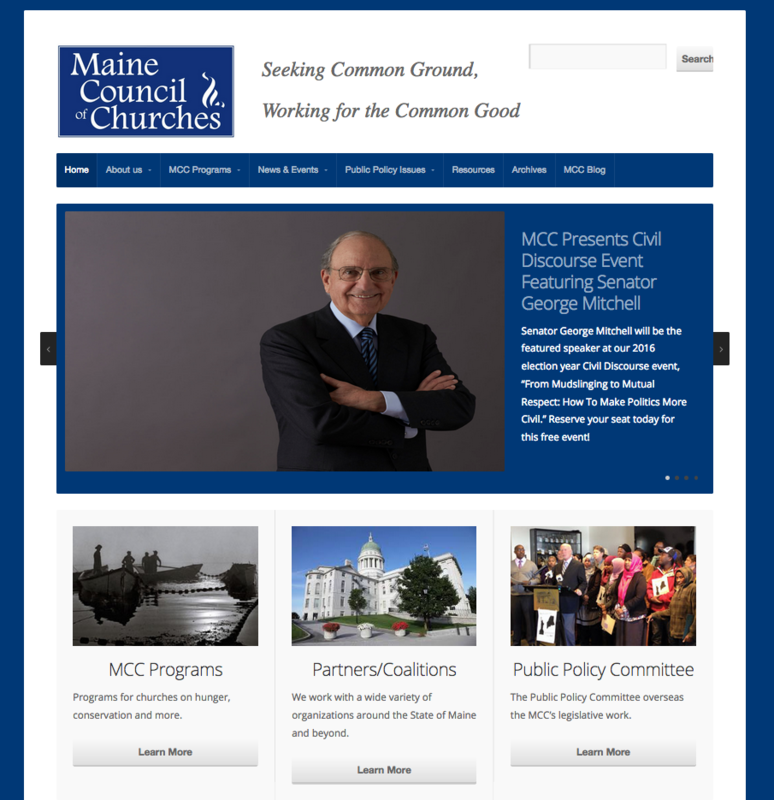 We worked with the Maine Council of Churches to move their site from a clunky, hard to use and expensive platform to an efficient and cost-effective Wordpress theme that offers them greater flexibility and ease of use. Using the new platform, the Maine Council of Churches is able to keep its members updated on their latest priorities in the Maine legislature and offer background on the numerous programs they offer. The theme also coordinates well with their Mail Chimp account, allowing them easily acquire email addresses from people interested in their mission.